The K&W Work Days are a good way to meet the members and to help with the ongoing projects at the railroad. 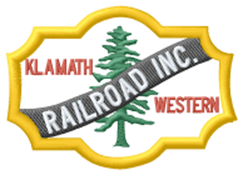 The Klamath & Western Railroad, Inc. is a registered 501 (C) 3 organization. Contributions may be tax deductible. Your support is welcomed and appreciated.